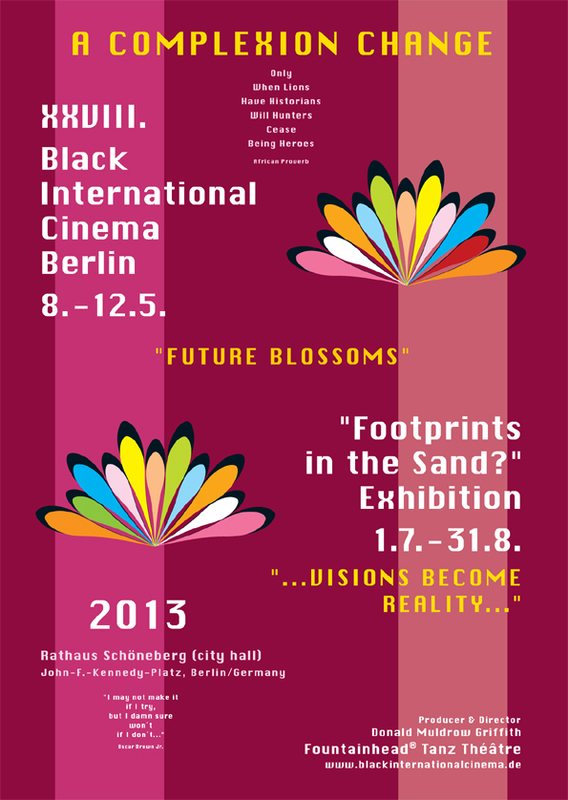 "Future Blossoms" / "Blüten der Zukunft"
"...Visions Become Reality..." / "...Visionen Werden Wirklichkeit..."
is a yearly interdisciplinary, intercultural film/video festival produced and directed by Fountainhead® Tanz Théâtre / THE COLLEGIUM - Forum & Television Program Berlin in association with Cultural Zephyr e.V. and screens cinema from the African Diaspora and other films from varied intercultural backgrounds or perspectives. Since then, Fountainhead® Tanz Théâtre produces and directs the Black International Cinema each year in Berlin and additionally, in other European and US-American cities. Black International Cinema is a festival based upon our mission statement and the objectives and methods as stated within the entry form.